It’s the envy of your friends, parents and Instagram followers alike: the year abroad. Compulsory for language students and an opportunity for adventure for many other undergraduate students, time out from university in the UK is increasingly popular year on year, with a third of students aged between 16 to 30 interested in studying abroad when polled in 2015. However, does it really have to be the best year of your life? Answer: no. While I’ll be honest and say a year abroad is a lot of fun, it doesn’t have to be defined with every superlative in the dictionary. A lot of students possess an overwhelming sense of wanderlust and it makes sense that we would want to travel and explore while we’re still able to. We get to spend a year in another country, perhaps even on another continent. If we study languages, it’s also an amazing opportunity to experience the culture we’ve been learning about from our very own first hand perspective. It also means we can try out our language skills out on the locals in the hope we correctly understood those lectures on the imperfect subjunctive! I knew years before moving to Spain that this year was ahead of me, and while nervous, it was also an exciting prospect. I’d never moved further than twenty minutes drive away from my family, remaining in Birmingham for university, and I couldn’t wait to improve my Spanish and gain some independence. When planning my year, I heard and read several testimonies from other students about how their year abroad was the best year of their lives. It’s the phrase everyone hears when talking to others about their year abroad, and while I’m certain it’s true for many, what happens if you go away and it isn’t? This kind of rhetoric, all the while instilling hope in students, can also be pressurising and I found myself asking a lot of questions early on: Why am I not enjoying this? Why can’t I go home already? What’s wrong with me? Within a month of being in Spain, I was experiencing constant anxiety and panic, struggling to wake up without a sense of dread in the pit of my stomach before class. It seemed all I could do was mope about in my room and if anyone dared ask me how I was, it would just open the floodgates; I would cry constantly. I’d be on Whatsapp and Facetime with my mother all the time, telling her how much I wanted to go home, and for a short while I strongly considered dropping Spanish altogether and going home. Why couldn’t I enjoy being abroad for ten months of my life when everyone else around me seemed to be having the time of their lives? I thought there was something inherently wrong with me. I lost my appetite, would struggle to sleep for more than a couple of hours at a time and just didn’t want to join in with anything. When I did, even doing small things like a walk with a friend or going out for a meal, I just wanted to run away and jump on the first plane back to England. One of the things that I feel I and the rest of my cohort could have done with was more preparation for something like this. Throughout all of our talks ahead of year abroad professors stressed the importance of immersion, of throwing ourselves head first into our new home in order to gain a sense of personal development, change and ultimately, to improve our language skills. Yes, the phrases ‘homesick’ and ‘culture shock’ were mentioned, but how would we cope with them should we experience them? There didn’t seem to be much information that shed light on just how hard it could be to adjust and cope with being away for months at a time. Year abroad is a whole new ball game. Another problem is the Erasmus+ programme itself, which enables thousands of students every year to study abroad, but does not assess the mental health of students before they go. In fact, while the Erasmus+ programme claims that the wellbeing of students is a priority, they do not ensure mental health measures are in place at the institutions who take part in the programme. This is in the hands of national agencies such as the British Council, but institutions are under no obligation to offer these kind of services to incoming students. While this is the case, what is available to us are several links on their website – if you look hard enough – including the likes of the NHS and Mind UK. 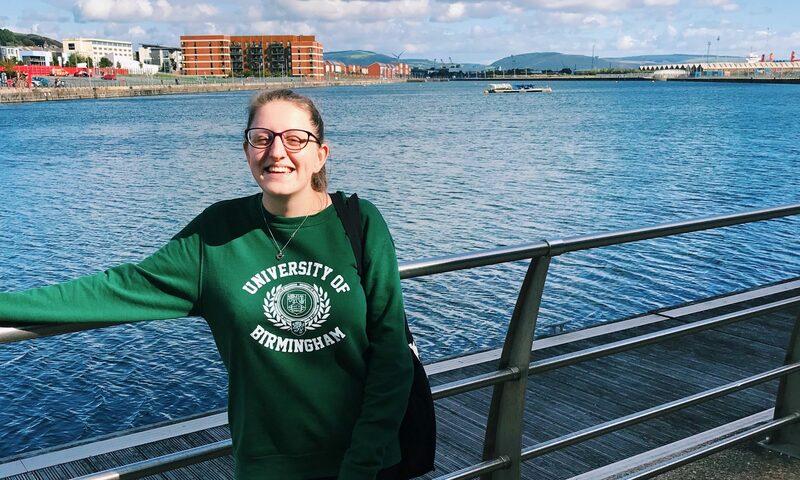 I struggled to find information on the availability of counselling services at my Spanish university, which was not helped by the breakdown in communication between myself and the Erasmus coordinator, but I was lucky in that being a student at the University of Birmingham, I had access to online counselling services with someone at home. UoB were one of the first universities in the country to offer counselling of this kind, and I would highly recommend it to anyone in need. I have to stress to anyone reading this, whether you’re in France, Italy, Germany or somewhere much further away like Australia, America or China: if you’re struggling and not enjoying it like you expected to, it’s okay to feel that way. It’s so okay. And it will get better. No matter how far you are from home, homesickness can hit you like a ton of bricks. I realised that with moving abroad, there was a fixed expectation in my head that every day ought to be absolutely fantastic, filled with a new, life-fulfilling experience. And yes, while there are days filled with trips, exploring my city, good food and beer, and even little things like booking a table for a restaurant or sorting out your phone contract out without help from your Wordreference app, there are days that aren’t so good. And that’s okay. We are allowed to have days off, to feel emotional and sad, just like we would if we were at home. The rhetoric surrounding year abroad, while promoting the wonderful thing it can be, also gives students a rose-tinted view of it all. If I wake up feeling hungover or tired and decide to spend the day in bed binging Netflix, it can easily fill me with guilt: why am I wasting a day in bed when I’m in Spain? While I’m abroad I should experience every. single. thing. In actuality, year abroad is pretty simple: it’s living your usual life but merely adapting it to a new place. If you want to have a night off and binge Gilmore Girls, or lock yourself in your room to read and be by yourself for a while, just do it. Don’t forget that there’s always tomorrow. There is so much pressure put on students to have the best time of their lives, but not just from the academic side. It doesn’t help that our good ol’ social media platforms allow us to only show our friends and family what we want to. On days when I was feeling at my lowest I would lie in bed and scroll endlessly through tweets and Instagram posts, reading about how great everyone else was getting on around the world. However, this isn’t always the case. There are far more people struggling on their year abroad than care to admit it, or simply may not feel they can say out loud they are having a hard time. The best thing you can do is be honest with yourself and if you’re having a hard time, reach out to people, embrace those feelings and figure out how best to work through them. Bottling things up is the worst thing to do in any situation, let alone when you’re abroad and away from everyone you know. Telling people I wasn’t enjoying myself was hard, and I used my blog and Instagram account to address it head on, rather than pretending I was having the most phenomenal time. What I’m trying to say is this: a year abroad doesn’t have to be the best year of your life, but it can still be enjoyable. You can still make it a good one. The ‘best year of your life’ could be defined by anything, perhaps something yet to happen post-university, and yet we focus so much attention on moving away while at university as the resounding ‘best ever’ before we’ve even stepped foot on a plane. It does not have to be defined like this. While it’s great to experience another place and culture, the fact is, it’s tough. I’m still in Spain and I’m so proud of myself for sticking it out, and of everyone else I know who are fighting the same feelings every day. I’m lucky that I’ve made some wonderful friends while studying on Erasmus who I know will be my friends for life and despite my lows, I’ll look back on my time here with a lot of happiness. Giving up would have been the biggest regret of my life, and I’m hoping that this strength I seem to have found will help define who I am in later life. It may not be the very best year of my life, but I’m determined to make it an unforgettable one. I’m really glad I stumbled across this post! I’m currently doing my year abroad in France and it’s so true about there being pressure on us to have “the time of our lives” whilst we’re away! But it’s true it can be hard and we wonder why we’re not having the time of our lives like other students. Each person is different though and everyone handles situations differently! Best thing to do is take each day as it comes and see what happens! Thank you for your comment, it means a lot. And definitely! Taking each day is the best way, then it’s not as overwhelming, for sure.